Famous both for the quality of the winter offer and the beauty of their landscapes, the following resorts form the Skirama carousel: Madonna di Campiglio and Pinzolo in Val Rendena, Folgarida Marilleva in Val di Sole, Pejo, Ponte di Legno/Tonale in Lombardia, Andalo-Fai della Paganella on the eastern side of the Dolomites, Monte Bondone above the city of Trento and Alpe Cimbra-Folgaria and Lavarone along the Adige valley. Have you ever thought there could be a place where you could go from down in the valley at 565 meters right up to the 3173 meters of Cima Tosa, the highest of the Brenta Dolomite summits? At any time of year, it’s just a few minutes off the motorway, making it the perfect spot for a quick getaway to recharge the batteries. What else would you call a place where a third of its surface area is covered by Stelvio National Park and the Adamello-Brenta Nature Park?! Two parks and three mountain ranges: the Brenta Dolomites, Adamello-Presanella, and Ortles-Cevedale. A short drive from Trento, Monte Bondone offers fantastic opportunities for a family vacation! Pristine landscapes, breathtaking vistas, and an endless range of sports activities make Monte Bondone a natural outdoor playground. The area’s diverse floral habitat is protected within the Viote Botanical Garden, where you will also find the marvelous Terrazza delle Stelle (Terrace of the Stars), a great spot for stargazing. 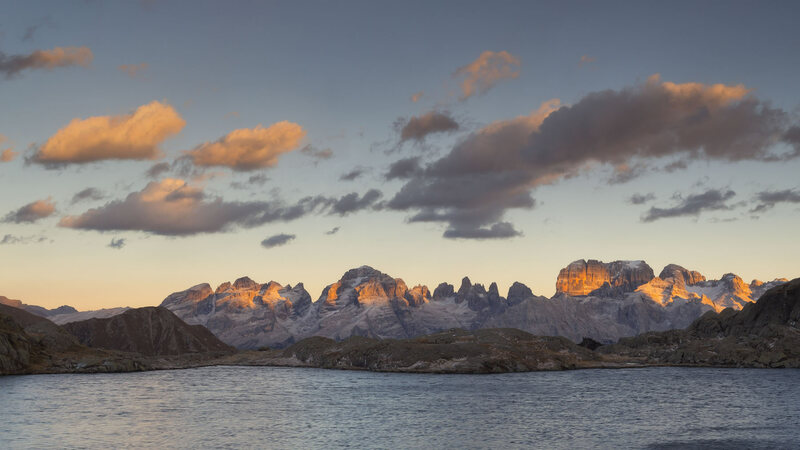 Alpe Cimbra, in the Trentino Folgaria Lavarone Lusèrn area, offers a wealth of activities for any vacation, including mountain biking, hiking, Nordic walking, climbing, history, culture, relaxation, and fine dining. Come discover its stylish restaurants or romantic chalets, tucked away in the woods or high up on a mountain peak. Nestled between the rocky spires of the Brenta Dolomites, a spot so uniquely beautiful that it has been named a UNESCO World Heritage site, and the glaciers of Adamello- Presanella, the towns of Madonna di Campiglio, Pinzolo and Val Rendena are among the greatest tourist destinations of the entire Alps.